This makes a large casserole but if there are leftovers, they freeze quite well in individual containers. Preheat oven to 400 degrees. Lightly grease a 9″ x 13″ baking dish. Bake for 20 to 25 minutes or until bubbly. 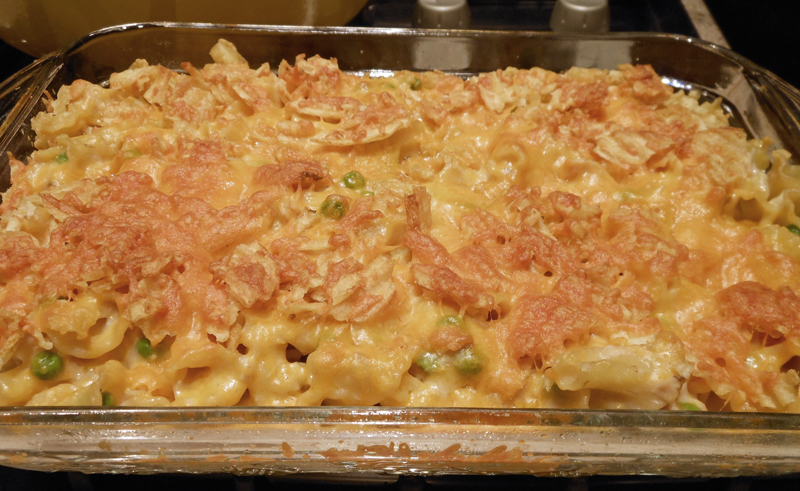 If chips start to get too brown, put a piece of foil over top until casserole is done.